Boyle Heights residents recently reached an agreement with the University of Southern California to provide community benefits, such as employment and job training, in the school’s bid to construct student housing near the LAC+USC Medical Center. Eastside L.E.A.D.S., a coalition of community groups, announced the agreement on Jan. 15 as USC moved forward with plans to build a 95-unit student housing complex at 1630 San Pablo Street, adjacent to USC’s Health Sciences Campus. The coalition challenged the project last year, citing concerns about rising housing costs and displacement of local residents. The group also said USC and its development partner American Campus Communities failed to communicate with residents about its intentions, part of a 30-year master plan for the area. 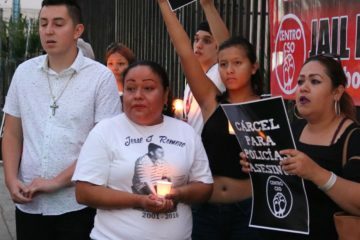 “We said that if USC wants to be a good neighbor to the Eastside, it will have a conversation about the impact its future development plans can have,” said Pamela Agustín, a community organizer who heads Eastside L.E.A.D.S. At a public hearing about the project in June 2018, Eastside L.E.A.D.S. assembled around 30 residents from the community to speak out against the development, Agustín said. 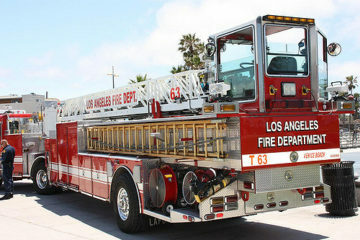 But the Los Angeles City Planning Commission approved the project in October, though it instructed USC to communicate closely with residents moving forward. Eastside L.E.A.D.S. appealed the decision on Nov. 1, and began talks with USC and ACC in December. As a result, USC agreed to “hold ongoing discussions with community stakeholders” about the construction, Eastside L.E.A.D.S. announced in a letter to the community. The agreement will also create a job training fund of up to $100,000, and ACC will hire 25 percent of construction workers on the project from within a three-mile radius of the campus. 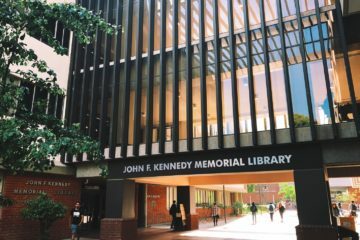 Earl Paysinger, USC’s Vice President of Civic Engagement, said the agreement was part of an ongoing effort by the university to work with community leaders. He hosts several meetings a year for the East Area Community Collaborative — a coalition of Eastside nonprofits, residential leaders and businesspeople created in 2017 — to get input on topics from development to healthcare and education. “We have a professional and a moral responsibility to work with the community in a way so that as the university grows, as we seek to achieve our mission of education, healthcare and research, that the community benefits as well,” Paysinger said. Eastside L.E.A.D.S. now plans to work with the developer to ensure that it follows through on the agreement. “It’s setting the stage, setting an example that developers can be accountable to priorities and needs of residents,” Agustín said. About a dozen community groups — including East LA Community Corporation, Inner City Struggle and Legacy LA — formed Eastside L.E.A.D.S. in 2017 in response to a larger wave of gentrification in the area, Agustín said, as USC worked on plans for a bioscience corridor on the Eastside. 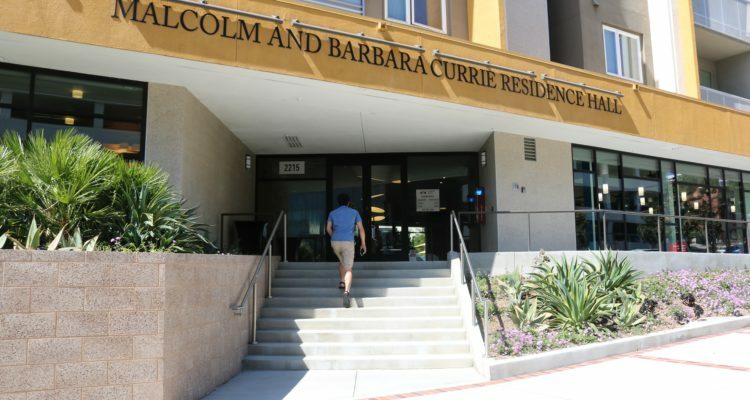 In its letter announcing the agreement on Jan. 15, the organization noted that residents of the Ramona Gardens/Hazard Park housing project next door to the Health Sciences Campus have been priced out of the neighborhood as landlords demand higher rents, while students are often willing to pay more for housing close to campus. Agustín believes the agreement made with USC and ACC is a step toward combating this trend. 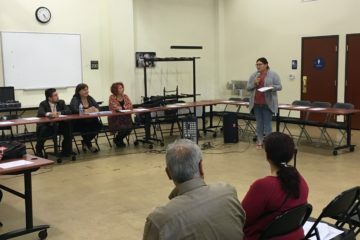 However, she said community activists have larger goals for the area, from increasing local hiring to creating more inclusive community hearings — providing translation services and giving greater notice to residents. “When we come together, when we work towards this common goal of ensuring economic prosperity for residents without displacement, it’s possible to change the narrative,” Agustín said. Photo: The proposed student housing project is the second phase of an expansion that began in 2016 with the opening of a new residence hall at the Health Sciences Campus.